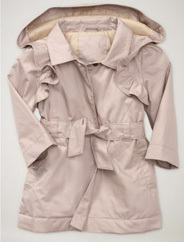 Suri & Katie enjoy Memorial Day at the beach in Malibu, CA on Monday, 30.
Who Wore GAP Trench Coat Better - Suri or Zahara? Zahara Jolie-Pitt wore her Ruffle Beige Trench Coat by GAP over a cute stripe blouse, black skinny jeans and pink suede boots by Naturino. 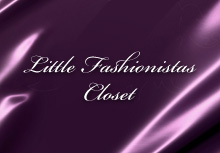 This outfit was worn while out with her family in LA on May 22nd 2011. 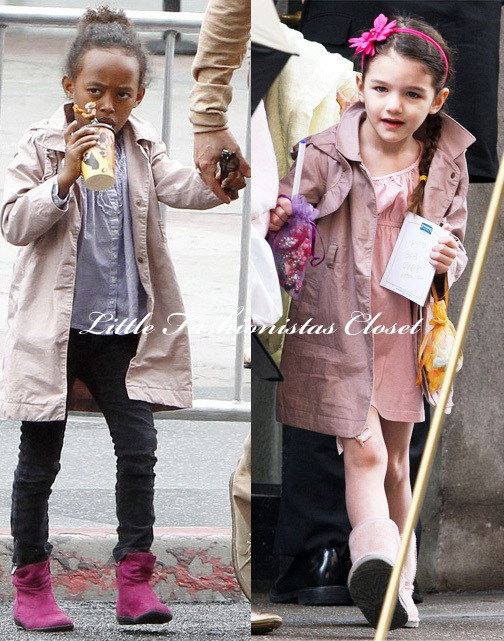 Suri was seen in this Ruffle Beige Trench Coat by GAP several times, this time i choose Suri's all-pink look consisting of simple cotton dress and pink suede boots by UGG. Suri completed her look by Pink Flower Headband. 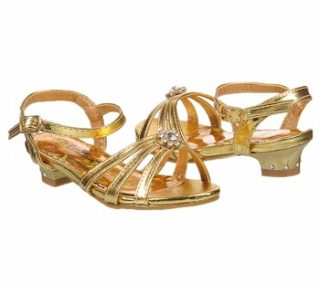 In the previous poll the majority of you choose Honor over Suri. unseen pictures of Suri & Katie arriving to Miami on Sunday, 15. Suri is wearing Pajama Gown by Esme and Purple Flats by Marc Jacobs. Thanks to Natalie and Melanie for the pictures! Suri prepares to board a private jet with her parents in Miami on Tuesday, 17. Suri is wearing Kaleidoscope Tank w Lace Trim by Little Ella and Teal Footless Tights by Moppit, first worn on July 29th 2009. Suri & Katie visited Tom on the set of his new movie Rock of Ages in Miami on Monday, 16. Suri is wearing Leotard by H&M, Skirt by Mirella/Bloch and Silver Ballets. Suri & Katie picking up ice-cream at Haagen-Dazs in Miami on Monday, 16. Suri is wearing Stripe Cozy Cotton Tullerina Tank in Hyacinth by Crewcuts, which was first worn on July 20th 2010 and Purple Sketch Ballet Shoes from FW by Little Marc Jacobs, which were first worn on April 13th 2011. Suri spotted having a great time poolside in Miami on Monday, 16. Suri also did some swim practice with her mommy. 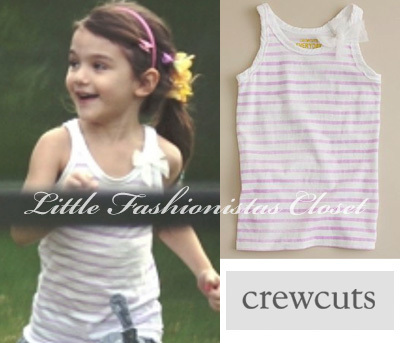 Suri is wearing Pink Ruffle Halter Bikini by Crewcuts, she is also using California Baby Sunscreen available at Crewcuts. 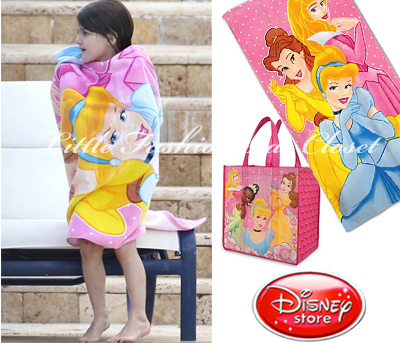 also pictured, Reusable Princess Bag Tote and Personalized Princess Beach Towel from Disney Store. Skilfully avoiding the more volatile European second home markets, high-profile Hollywood couple Tom Cruise and Katie Holmes are looking for a holiday villa in the popular Italian region of Tuscany to add to their property portfolio. TomKat, who chose Italy as the location for their wedding in 2006, are particularly interested in a 12 bedroom villa near the walled city of Lucca, reports the Daily Mail. The couple have already signed an option on the sprawling Villa Mammoli, which also features 15 bathrooms, a pool and a private chapel, and is on the market for £16 million.